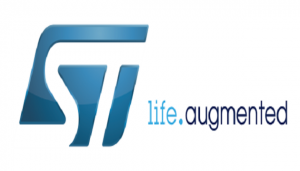 STMicroelectronics , a global semiconductor leader serving customers across the spectrum of electronics applications, announced that it will release second quarter 2017 earnings before the opening of trading on the European Stock Exchanges on Wednesday July 26, 2017. The management of STMicroelectronics will conduct a conference call on July 26, 2017 at 9:30 a.m.Central European Time (CET) / 3:30 a.m. U.S. Eastern Time (ET) / 12:30 a.m. U.S. Pacific Time (PT), to discuss performance for the second quarter of 2017. A live webcast of the conference call will be available by accessing http://investors.st.com. Those accessing the webcast should go to the Web site at least 15 minutes prior to the call, in order to register, download and install any necessary audio software. The webcast will be available until August 11, 2017.